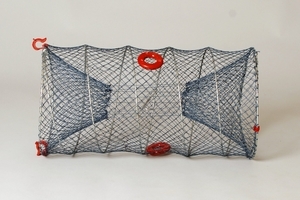 The Leisure crayfish trap is collapsible, with 14mm nylon netting over a coiled hot dip galvanized spring, which makes it very durable but also convenient to transport and store. 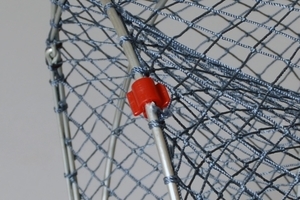 It opens in one end for easy catch removal. 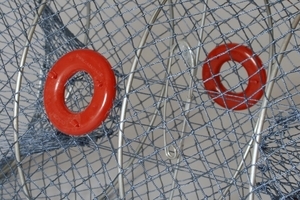 Its got two circular net funnel eyes, one in each end, attached to each other with 8 nylon strings. 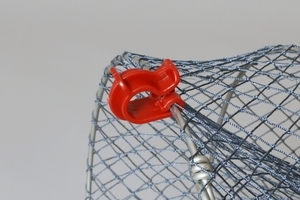 Comes with two mounted 28mm escape holes (the netting not cut if wanted to be removed) and two injection-moulded plastic closing hooks. 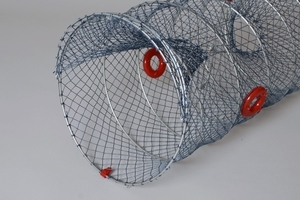 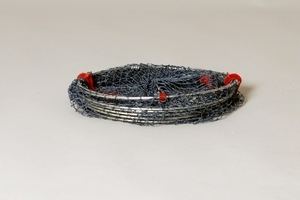 The Leisure Crayfish Trap can be bought either with a metal clip for baiting or without.